Closed cell cushion won’t absorb chemicals or water. Grease proof. Welding Safe. 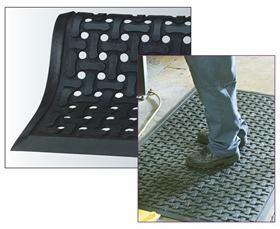 Certified by the National Floor Safety Institute as Anti-Slip matting. Environmentally friendly. FOB Shipping Point. 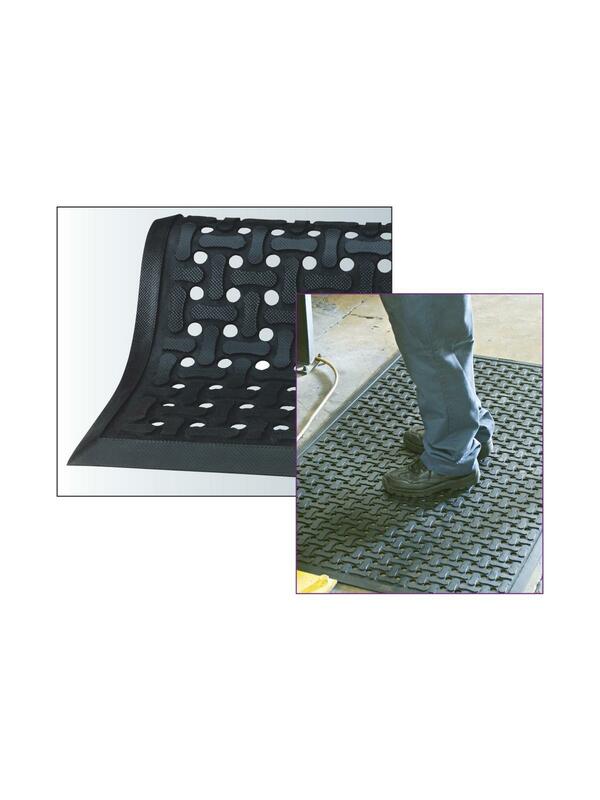 Comfort Flow… with drainable holes for areas with heavy spillage. Comfort Scrape… for areas not experiencing heavy spillage of water or chemicals that need to drain through the matting.